Restaurant at The Swan at Hay01497 821188work RestaurantNow fully refurbished and restored to its former glory, The Swan at Hay has relaunched and has been recognised as a 4 Star Hotel by The AA and Visit Wales. The Swan at Hay Hotel is a privately owned, independent hotel just moments from the bustling centre of the world renowned 'Town of Books', Hay-on-Wye, on the edge of the Brecon Beacons National Park. The Garden Room, which serves dinner in the Summer and Sunday lunches, and the 1812 Bar, which serves lunch and evening meals. The hotel also has a garden ideal for summer al fresco dining. We have created a traditional British menu with favourites including pan-seared scallops with Leintwardine black pudding and pea puree; Confit shoulder of Welsh Marches lamb with mashed potato and red wine jus; and whimberry tart with homemade vanilla ice cream. Our traditional Sunday Lunch is very special, with some of the largest Yorkshire puddings you will ever see! We are fortunate enough to live in an area providing some of the finest food and ingredients available in the United Kingdom. 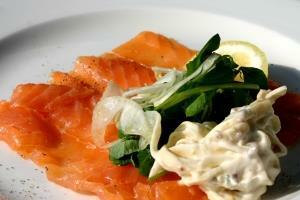 Our aim is to create dishes where at least 80% of the ingredients are from a local source. A typical menu will include Herefordshire beef and Welsh Marches lamb served alongside fruit and vegetables from the gardens and orchards of the Wye Valley. Now fully refurbished and restored to its former glory, The Swan at Hay has relaunched and has been recognised as a 4 Star Hotel by The AA and Visit Wales. We have a delightful selection of rooms available for private dinners from six to 100. If you would like to celebrate a birthday, wedding anniversary, or simply treat your friends to a great night out, please contact us to discuss a menu. With great food, delicious wine and professional service, we’ll help you make sure that it’s an event to remember. We are licensed to hold civil ceremonies and can hold weddings up to 120 people in our coach house suite. 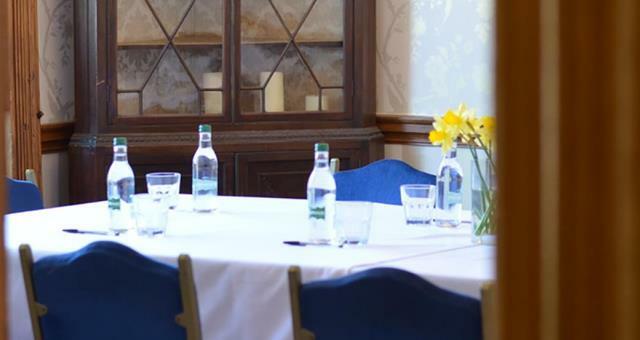 We have excellent conference facilities with lots of natural daylight, breakout areas, wifi and free on-site parking. 17 en-suite bedrooms and excellent catering facilities are all on-site as well. Town centre location on the Brecon Road. Parking is at the back of the hotel.